It gets even better: there is scientific evidence that gymnema can reduce sugar cravings, reduces sugar absorption during digestion, and promotes normal blood sugar levels. In fact type 2 diabetes patients use “the sugar destroyer” to control incipient forms of the condition. However, in my eyes, the greatest benefit is its ability to control yeast infections. This is big, and I am going to explain why. There is a lot that we still need to learn about this wonderful plant, but researchers have found out that gymnemic acids are responsible for the health benefits. Gymnemic acids are extracts from the plant leafs. Ziziphin and Hodulcin, two gymnemic acids, are anti-sweet substances. They inhibit the sweetness, and anything sweet drink will taste like water. Any candy will taste bland, after chewing the gymnema leafs. A group of researchers did an interesting study on mice treated with Gymnema extract. According to the article, the team has confirmed anti-stress, anti-allergic, antioxidant, and anti-bacterial properties. They also confirmed as effective the popular use as a medicine for treating stomach ulcer. There is also anecdotic evidence of being useful for cough, as a laxative, as a diuretic, anti-inflammatory, and stimulating digestion. I know medical doctors and scientists dismiss anecdotic evidence, but think about it: Not long ago, all we had on gurmar, was just anecdotic evidence. Another study focused on the anti obesity effect of gymnema. Although the mechanism is not fully understood, it is clear that gymnema has a great antiobesity effect, and this is linked to herb's appetite suppression properties. The authors of the article propose the suppression of levels of leptin, insulin, dyslipidemia, apolipoproteins, lipids, visceral fat pad weights, and oxidative stress as the mechanism for the antiobesity effect. A possible explanation is that by controlling the yeast populations and treating the dysbiosis we get our healthy weight back. Some research indicates that gymnema supplementation can repair the beta cells. Beta cells are located in the pancreas and they have a role in the insulin production. Gymnemic acids and phytonutrients in gymnema inhibit the sweetness, regulate leptin and insulin production, reduce abdominal fat, increase insulin production, and reverse the hyphal form of Candida into the benign yeast form. My personal theory is that the antimicrobial properties are the real cause of the many positive effects on the health. There are voices in the medical field who suggest that we might be facing a Candida epidemic. Exaggerations aside, there are more cases of undiagnosed yeast infection than admitted. If Candida indeed plays a role in many autoimmune disorders as suggested, then fixing the Candida problem will fix everything else. Dysbiosis is associated with obesity and type 2 diabetes. Based on this evidence the Japanese researchers investigated deeper into this. The results of their research suggested a translocation of bacteria from the gut to the bloodstream. Research has shown that a leaky gut can be the cause of bacteria translocation. Here is an article on the subject. The authors conclude that glutamine administration can improve the condition of the patients. But let’s delve into this a bit deeper: how do we get to have a leaky gut in the first place? In many cases is just glutamine deficiency. But in many cases dysbiosis is the cause. Here is my theory, and because there are no statistics on the subject, take it with a grain of salt. It is known that the hyphal form of Candida will increase the permeability of your gut. What if type 2 diabetes and obesity are consequences of dysbiosis? And here we will point to Candida albicans, but there are other yeasts that can change into hyphae. 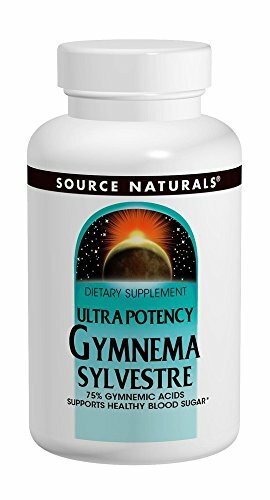 We might have a yeast infection that we don’t even know about, and supplementing with gymnema extract and glutamine can fix all of your symptoms. Can Gymnema Sylvestre Really Help with Weight Loss? Maybe for you the mechanism of action doesn’t matter too much. The important fact is that it works. Let’s be honest about it: It’s not the miracle weight loss pill. By itself gymnema won’t do miracles. However, it does work for the determined person who is willing to make changes in their diet, and lifestyle. Yes, gymnema sylvestre will help you where it's the hardest; it will suppress your appetite. You need, however, to do your part of the job. A great approach for great results is to combine the effects of gymnema sylvestre with a diet change. Dysbiosis is linked to diabetes and obesity. Gymnema will help you control yeast overgrowth, but that’s only the first step in fixing your dysbiosis. Dysbiosis is a term to describe abnormalities in your microbial ecosystem. Include more unpasteurized fermented foods and prebiotics in your daily diet. Using a probiotic supplement for weight control is a great way to ensure results. The one I used with good results is Lactobacillus Gasseri. Here is an article with more info about probiotics and weight loss. Gradually include more fiber in your diet. Prebiotics will help restore good bacteria in your gut. Eat a variety of prebiotics, (indigestible carbohydrates), such as inulin, FOS, resistant starch, etc. For more details check our page about prebiotics. Why can’t I just take gymnema extract, and do nothing else? Many people might say: “I don’t want another regimen! Why can’t I just stick with gymnema?” Our body is very complex, and if you treat it right it will reward you with a healthy, happy life. and do moderate physical exercise. Do not use it for extended period of time. It looks like up to 20 months should be fine, but I wouldn’t use it that long. Short-term use of low gymnema sylvestre is mostly safe, but dosage is important. Do not overdose, or self medicate on it. Some of the side effects include high blood pressure and low blood sugar levels. Yes, low blood sugar is what we are actually looking from it. However, too low blood sugar levels may lead to shakiness, sweating, confusion, distorted speech, and loss of muscle control. It is very important to consult to your doctor do not overdose on gymnema, and always take in consideration the insulin effect. Combining insulin with gymnema could lead to a drastic blood sugar drop. Even when taken with meformin, or other blood sugar lowering medicine, it can bring glycemia below the safe limit. There is not enough data about the safety of gymnema for pregnant or nursing women. Stay away from it, just to be on the safe side. There was reported one case report of liver toxicity. The Candida Questionnaire, a question based test, to help you and your doctor figure out if you have candida. Yeast infection symptoms, and medical history are scored to give you an insight.